LONDON, UK (Saturday, December 24, 2016): 2016 was the year eSports came to the attention of even the most traditional marketeers. Competitive gaming has been in existence more than 20 years but it has come of age in the past 12 months with big brands and big investments grabbing the headlines. With huge and engaged millennial audiences watching, playing and sharing eSports globally, it was little surprise to the gaming industry that competitive gaming or eSports would be the next big thing in marketing. To put an exclamation mark on the year, two stories have grabbed the attention of the team at eSPORTS+CARS and is sister group IDEAS+CARS. 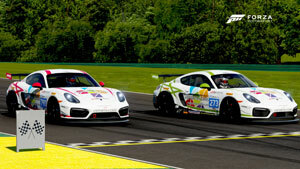 Porsche have ramped up their gaming activity in recent months and revealed they are considering establishing an eSport racing team – demonstrating how deeply even premium brands are investigating eSports. 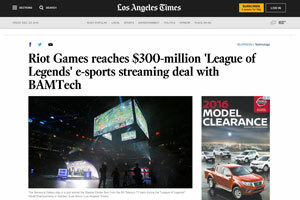 In 2016, shareholders including Disney and the National Basketball League have funded the content rights deal of $300 million for League of Legends competitions for the next seven years. This confirms the trend IDEAS+CARS identified at the beginning of the year of mainstream sports and big investors getting serious about gaming via eSports. “Being at the eye of the eSports storm has been invigorating this year, it wasn’t so long ago that I was struggling to convince Brands of the benefit of investing strongly in gaming, now we see Brands like Porsche potentially following our lead and setting up an eSports team, we feel more than a little justified of our confidence,” said eSPORTS+CARS Team Principal Darren Cox. eSPORTS+CARS Team Manager AJ Smith is also clearly pleased with on track performance. “eSPORTS+CARS has won seven major competitions and podiumed in every final or competition we have competed in,” he said. “Those results mean the drivers have won more money than any group of drivers previously in one year. All this is in-spite of only launching in the second half of the year. In 2017 we will attempt to continue to dominate console based racing and make a concerted effort to provide Team Redline with a challenge in the PC based arena.